Kurfürst - OKL, GdJ-Grp. Qu-, Br. B. Nr. 1561/45 g.Kdos. von 20. März 1945. OKL, GdJ-Grp. Qu-, Br. B. Nr. 1561/45 g.Kdos. OKL, GdJ-Grp. Qu-, Br. B. Nr. 1561/45 g. Kdos, from 20 March 1945. 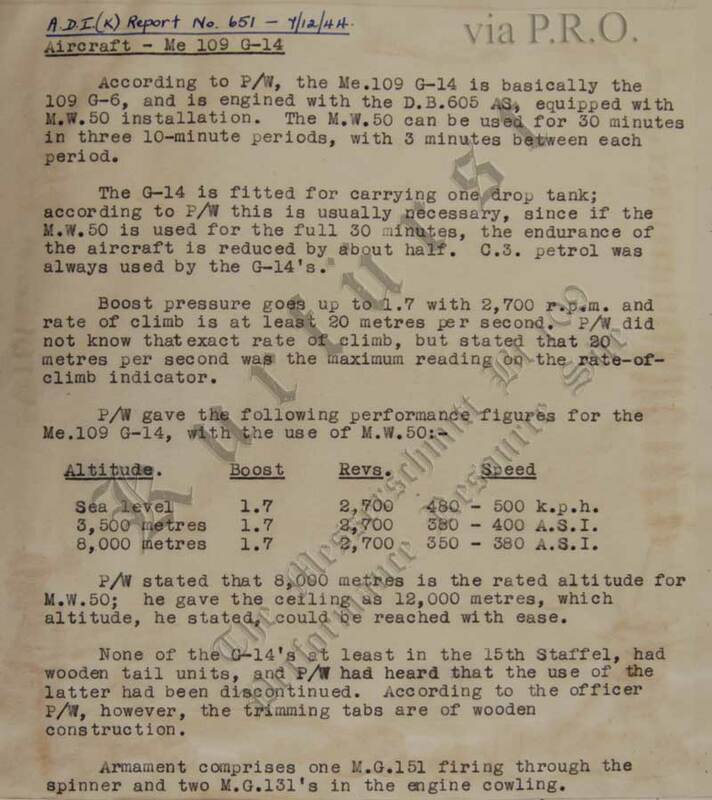 The document, partially reproduced by Zobel and Mathmann, notes that four Gruppen employed on the Western Front, two from JG 27 and JG 53 each, are to increase manifold pressure to 1,98 ata (1,98 Ladedruckerhöh.). Luftwaffe Supreme High Command, General of Fighters Group, Qu.-, Br. B. No. 1561/45 Confidental Orders. 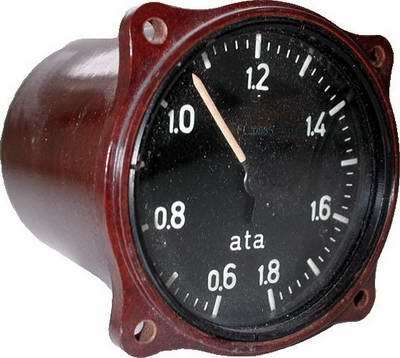 Mit Anlauf und Einfließen der Ta 152 in FW 190 Gruppen wird für diese Verbände eine baureihenbedingte Rüststandsverbesserung erzielt. Bf 109-Entwicklung schließt im wesentlichen mit K-4 ab und führt - soweit nicht Auflösung vorgesehen - zwangsläufig zu Umrüstungen der Bf 109 Verbände auf TL. Reinrassigkeit der Geschwader wird vordringlich angestrebt, Kombinierung artgleicher Baureihen sind vorübergehend und nach Maßgabe der Fertigung in Kauf zu nehmen. With the arrival of the Ta 152 and it`s assignment to FW 190 Gruppen will result in an improvement in the equipment status of these units. Bf 109 development will essentially conclude with the K-4 and will inevitably lead to the conversion of Bf 109 units - those not scheduled for disbandment - to jet fighters. Homogeneity of the Geschwader is urgent to be strived for, combination of similar types is temporary and because of the levels of production to be accepted . This notes in relation of I./JG 27, III./JG 27, III./JG 53, IV./JG 53 to increase the maximum boost pressures to 1,98 ata manifold pressure. It is not known if and how many units had converted to 1,98 ata manifold before that order came, but it should be noted these units, in particular III./JG 27, III./JG 53 and IV./JG 53 were the major users of the Bf 109 K-4 in the Lufwaffe. 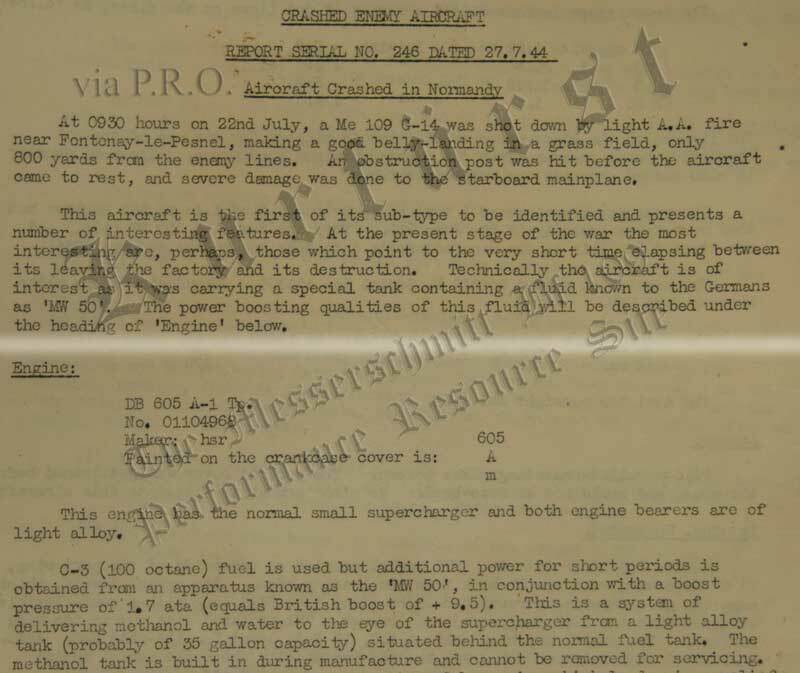 The other units effected are not known at present, but given the abundance of photograph depicting G-10 and K-4 fighters belonging to other units, marked for C-3 fuel use - a likely sign of the DC engine at 1,98 ata - the boost increase was likely not limited to JG 27 and JG 53 alone. Photographs of Bf 109 G-10 and K-4 using C-3 fuel. Commander of 11./JG 53 (III. 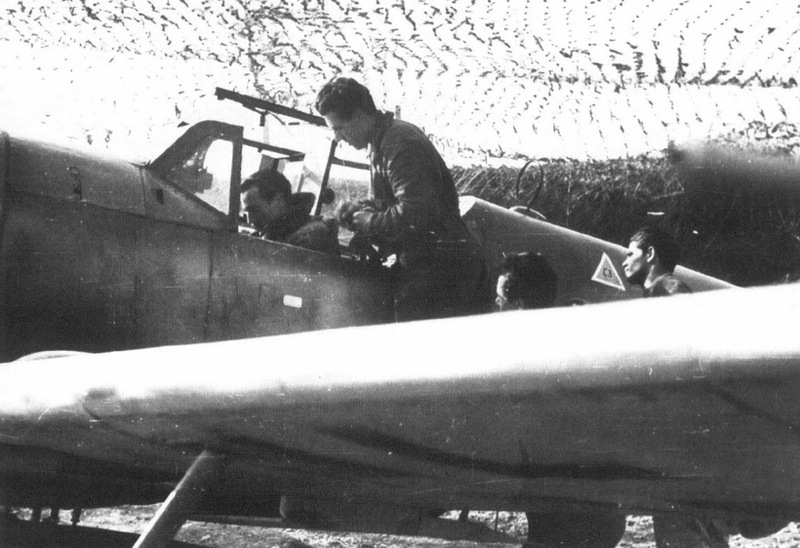 Gruppe), Lt. G. Landt, in the cocpit of his Bf 109K-4, Yellow 1, photographed at Kreuzstraße airfield, in April 1945. 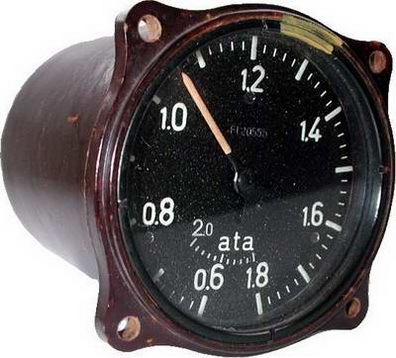 The 'C-3' notice instructing the ground crew for filling the aircraft with 'C-3' grade fuel is blurry but visible on the cocpit. Photograph via Janda-Poruba, Messerschmitt 109K, Camouflage and Markings. Fw. 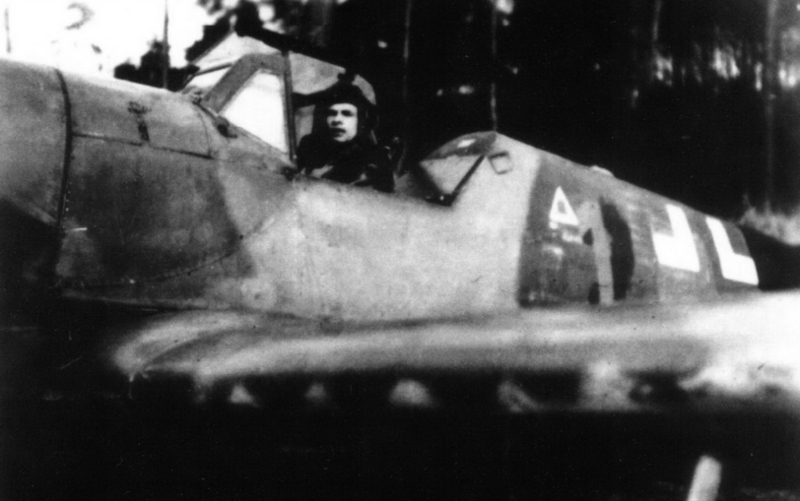 K.-H. Böttner in the cocpit of an early Bf 109K-4. Note the C-3 fuel triangle to the right, above the tactical markings. marked on the fuselage is particularly worthy of note. Photograph via Janda-Poruba, Messerschmitt 109G-10/U4. Italian Air Force, the ANR, was supplied from aviation fuel reserves of the OKL, and the major proportion of the supplies were C-3. Bf 109s fueled with C-3 fuel. From AIR 40/192. Bf 109G. National Archieves, Kew. Fritz X. Zobel, Fritz X., and Mathmann, Jakob Maria - Messerschmitt Bf 109 im Einsatz. Waffen-Arsenal, Sonderband S-38. Podzun-Pallas Verlag GmbH. Wölfersheim-Berstadt, 1995. ISBN 3-7909-0541-0. Janda, T., and Poruba - Messerschmitt Bf 109K. JaPo Publishing. Praha, 1997. 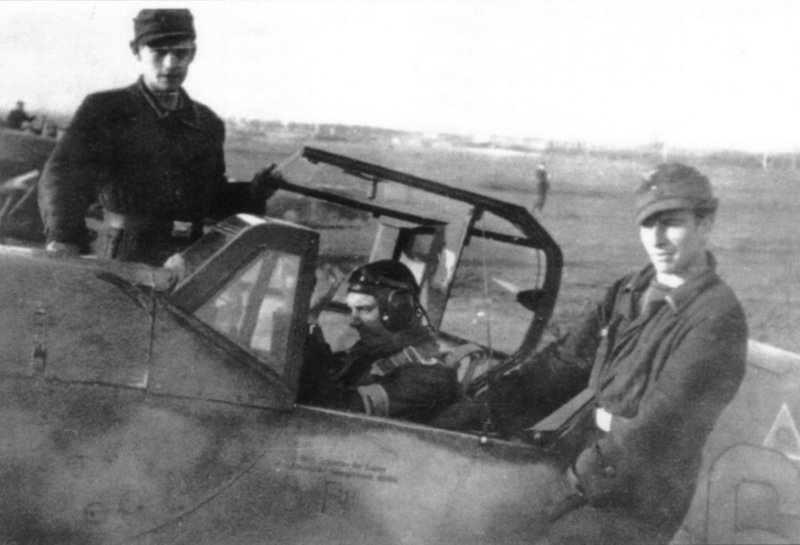 Janda, T., and Poruba - Messerschmitt Bf 109K. Camouflage and Markings. JaPo Publishing. Praha, 2000. Janda, T., and Poruba - Messerschmitt 109G-10/U4. Production and Operational Service. JaPo Publishing. Praha, 2004. Arena, Nino. - Bf 109. Storia del caccia Messerschmitt. Edizioni dell'Ateneo & Bizzarri. Roma, 1980. Last updated 30 November 2008.